Tag Archive | "Evangelist Pat Montgomery"
Welcome to Gospel for the Glory of Jesus. We have the world’s best Black Gospel Music and Evangelist Pat Montgomery gives a special Mother’s Day Message from the book of Luke. Download the free radio app to listen to a live broadcast on Sunday mornings at 7AM. Welcome to Gospel for the Glory of Jesus. 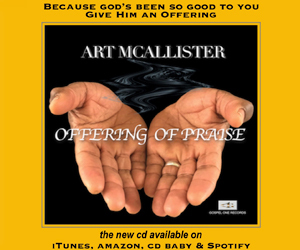 We got some of the world’s best Black Gospel Music and Evangelist Pat Montgomery teaches on God doing a new thing in our lives. John 3:16 God So Loved the World. Come Worship the Lord with us. 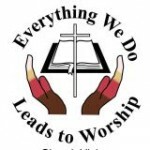 Evangelist Pat Montgomery teaches on Salvation and we have some of the world’s best black gospel music for your Spirit and Soul. Isaiah 43:19 Behold I will do something new. Come Worship the Lord with us. We have some of your favorite gospel tracks and Evangelist Pat Montgomery teaches on focussing on the new thing in your life. Download the free radio app to listen to a live broadcast on Sunday mornings. Luke 1:37 For With God Nothing Will Be Impossible. We have some of the worlds best Gospel Music and Evangelist Pat Montgomery with a Word from the Lord on attacking the Giants in your Life. Isaiah 9:6 For on to us a child is born, to us a son is given Come worship the Lord with us. We have Christmas music and Evangelist Pat Montgomery with a Word from the Lord on the Birth of Jesus. 2 Cor 1:20 For all the promises of God in Him are yes, and in Him Amen, to the glory of God through us. Come Worship the Lord with us. We have some the world’s best gospel music and Evangelist Pat Montgomery teaches on the everlasting promises of God. Welcome to Gospel for the Glory of Jesus. Your favorite gospel hits and Evangelist Pat Montgomery warns us about playing games with God in her powerful message, ‘Games People Play’. Featuring Gospel Music from Bill Lomax, Anita Wilson, Jonathan Nelson and more of your favorites. Evangelist Pat Montgomery teaches on the Power of Prayer.